Letting you do what you do best…build homes! Q: Why do you need the Contractor’s Social Security Number? A: GLM will request a credit report on the contractor using his Social Security Number. 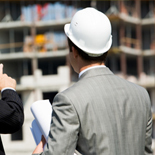 The information on this report will be used as one of the primary factors in the Contractor Acceptance process. Q: May the budget be changed after the loan approval process? A: No. The budget may not be substantially changed once the loan is closed. The lender has relied on the budget to determine the loan amount and the collateral value of the home. If the budget is increased the contractor cannot be assured that money is available to pay for the increase and if it is decreased the lender cannot be assured that the collateral value will be maintained. Q: Where do I fax my draw? A: Please fax the draw request directly to GLM at 888.456.4999. 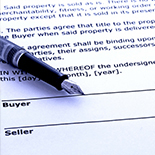 Do not fax the request to the loan professional or lender by mistake. Q: What are the most common things that will delay my draw? A: The borrower’s name is not clearly stated on all correspondence, the draw request does not include a Construction Loan Disbursement Request/ Authorization form, the budget line numbers or payees are not detailed on the Construction Loan Disbursement Request/ Authorization. Q: Did you receive my fax? A: GLM will send the contractor a Receipt of Fax Notification within 24 hours of receiving the draw request. There is no need to contact GLM unless the contractor does not see the notification within 24 hours of faxing the draw request. Q: I did not see the inspector on site. When will the inspection take place? A: GLM’s inspector does not coordinate the inspection with either the borrower or the contractor. The inspector has agreed to complete the inspection within 48 hours. 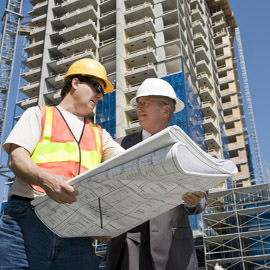 The process of trying to coordinate the inspection with the contractor may delay draw funding. Just because the inspector has not been seen on the job site does not mean the inspection has not taken place. Q: Did you lose my fax? A: GLM receives all faxes electronically. This means all information is stored electronically in a computer including the number of pages received, date, time and the sender’s fax number if available. If GLM does not have the fax, it means we did not receive it. To help the computerized fax system, GLM requests that you program your fax number into your fax machine. Q: Can I submit a draw request without the borrower or contractor’s signature on the Construction Loan Disbursement/ Authorization Request? A: No, only complete draw packages should be submitted. The draw will not be recommended until all signatures and support documentation is completed. Please do not piecemeal draw requests. Q: I just sent my fax, when can I expect my money? A: GLM requires three business days to process the paperwork upon receipt of all documentation. A recommendation is then made to the lender. The lender typically wires the funds within 24 hours of receiving GLM’s recommendation. Q: Why did you amend my draw? 1. You have attempted to overdraw a specific line item or in other words you want more money than was originally budgeted. 2. You have attempted to draw on a line item that does not exist in the original budget. 3. GLM’s inspector has determined that the work you are drawing on is not completed/ in place. Q: Can the borrower avoid the paperwork process by funding the draws out of his own pocket? A: No, upon rolling the borrower’s loan to the permanent phase, all paperwork that should have been collected during the construction phase will be required at the point the final draw is funded.